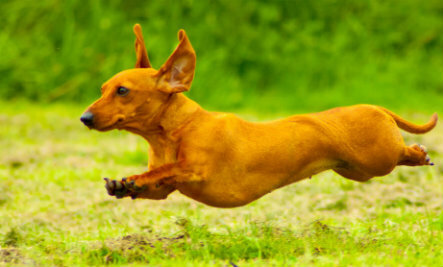 This Sunday, Muskogee’s second-annual Schnitzel Stampede brings weiners to the dog park from 1 p.m. to 3 p.m. The Bark Park, 1101 S. Second Street, is the host for the event, which includes contests, door prizes, artists, vendors, food trucks and lots of dogs. This year will also include wiener dog races, according to co-organizer Holly Rosser-Miller. To get more information or register, click here. Tickets are $5 per dog, and all humans are free. Dogs other than dachshunds are also welcome, and will have their own area to enjoy while the sausages squirm around together. All proceeds from the event benefit The Bark Park, spaying and neutering efforts at Muskogee Animal Control, and Kids’ Space Child Advocacy Center. If you want to come out a little early, the food trucks will be serving food starting around noon.